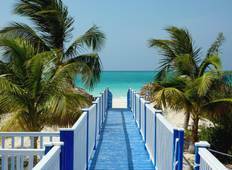 Find a Christmas & New Year trip that explores Caribbean. There are 118 tours to choose from, that range in length from 3 days up to 28 days. The most popular month for these tours is November, which has the most tour departures. 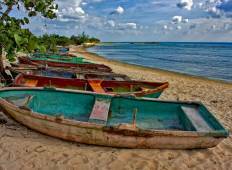 "This trip provided a comprehensive overview of the best that Cuba has to offer. Our..."
"Everything was wonderful--we saw and experienced Cuban culture, history, art, cuisine,..."
"If I was a vegetarian I would have been given more care! I had to get doctors letters..."
"The tour was fantastic, an awesome group helps, but a phenomenal guide certainly..."
"Jakera Cuba provided a clean, helpful, happy and healthy home away from home. The..."